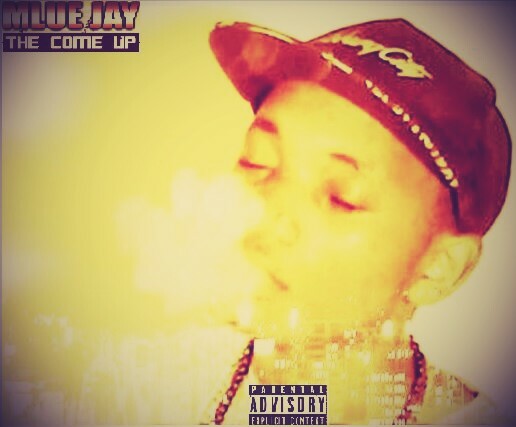 After dropping Bulawayo 2 Jozi Mlue Jay recently dropping his mixtape The Come Up, which I will dissect here. First I and foremost I have to get the issue of the artwork (which I noticed first) out of the way, the back cover looks better than the front cover, which looks like a screenshot of a scene from the B2J video with some wording that anyone with a photo-editing app in their phone can do. I don't know if it's laziness or what but I know Zim graphic designers can do better than this. Another concern is the different bit rates and quality of the songs, some having 128KB/s, 160KB/s, 192KB/s and 320KB/s). This is really evident when you listen to tracks like Cheddar, which have the best mastering here and other tracks like I'm Sorry or Hating on Me. The project is a mixture of original and used beats, hence the mixtape tag holding here. Original production came Mclyne Beats, 4uxion Beatz, Procova, Mlue Jay and Mashy Philly Beats. Featured artists include Trigga Tragous, Mash Philly (from South Africa), Bless Queen (from Nigeria), TearDream Boiz, Geeky M and Kasi Substance. The stand-out tracks for me were The Come Up, Mina, Sengdakwe, Ghetto, Cheddar and Nothin' More 2 Say. This is an okay project that would've been dope as an EP as there quite a couple of throwaway tracks here, or maybe it's just the mastering. That's just my opinion, feel free to download the mixtape below and make up your own mind. If you like the mixtape please share it on your various social media platforms.